Are your appliances and home electronics protected from power surges and spikes? These days our homes and offices are filled with electronic equipment. Our refrigerators, televisions, security systems, ovens, clothes washers, cable boxes and other electronic items can be damaged by voltage surges and spikes, whether they originate from within your home or on the electricity distribution system. We recommend you take these steps to protect your equipment from damaging electrical spikes or surges. These suppressors should be used with all sensitive electronics including computers, microwaves, stereos, TVs, printers, etc. Telephone and cable lines can also conduct voltage. For full protection, you should also guard against surges from your telephone or cable lines. 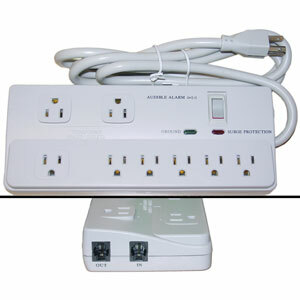 If your computer is connected to the phone line via a modem, you should get a surge protector that has a phone-line input jack. If you have a coaxial cable line hooked up to expensive equipment, consider a cable surge protector. UL 1449 Listed. UL Listing as a “power trap” isn’t sufficient. Look for UL 1449 listing for transient voltage surge suppressors. Peak surge current protection of 54,000 amperes if you don’t have a whole house surge suppressor installed at your circuit panel, or 36,000 amperes if you have a whole house surge suppressor at your circuit panel. An energy rating of 700 joules or higher. Make sure your surge suppressor has an indicator light so you know whether or not it’s functioning properly. 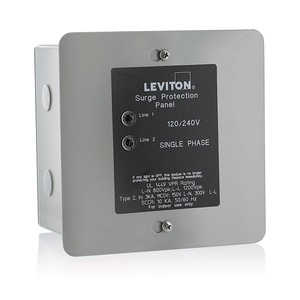 UL 1449 Listed as a Surge Protection Device for a type 1 or a type 2 location. A peak surge current rating of 50,000 amperes or higher, per phase. Electrical noise protection for electromagnetic interference and radio-frequency interference. If your lights flicker frequently or your electronic equipment is acting unreliably, you could have a problem with your wiring. Make sure all equipment is plugged into grounded outlets and check for loose or damaged plugs or poor connections. If your home was built before 1960, check to make sure your wiring meets current standards. During an outage, you should turn off and unplug electronic equipment. Our Energy Experts can recommend the proper surge suppression equipment for your home or business. 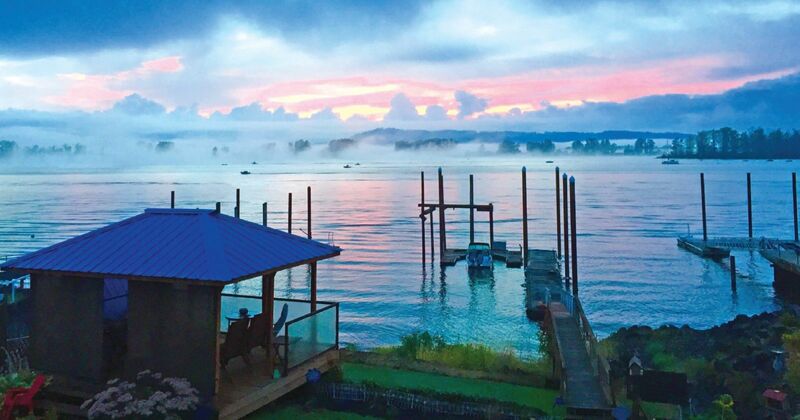 Contact them at experts@crpud.org or (503) 366-5470.